Another great day out on the golf course! 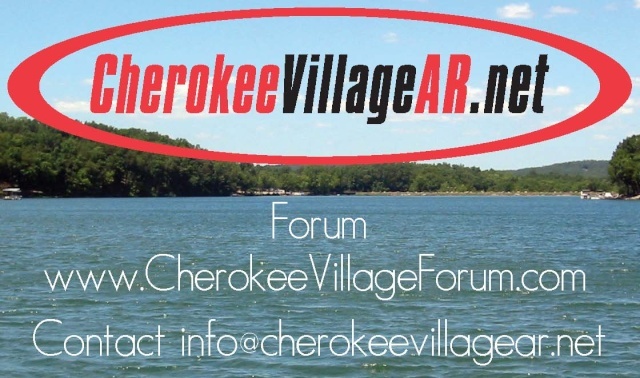 Cherokee Village's golf courses are definitely a "best kept secret". Go use them! FRIDAY Tournament Deadline CHEROKEE VILLAGE - The deadline for team slot registration for the Tommy Bolt Memorial golf tournament is Friday 6/17/11. The entry fee is $250 per team. The tournament will be held at 8 a.m. Saturday, June 25, at Cherokee Village’s championship South Course. Registration forms are available at the South and North Course pro shops, or by contacting David Webb at (870) 257-2555 or Oral Henderson at (870) 257-2452. Three flights will be set. A $300 gift certificate will be awarded for first place, $240 for second place and $180 for third. Four par-3, hole-in-one prizes include a boat, two golf carts and a car.